The guitar market is filled with a variety of acoustic guitars in different shapes and sizes, making it harder to find the one that best suits us. In the grand concert category, there are several names to remember. 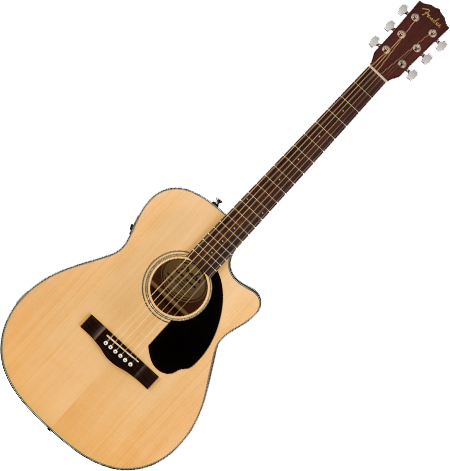 But if you are looking for an affordable concert electro-acoustic guitar, the Fender CC-60SCE is a solid option. 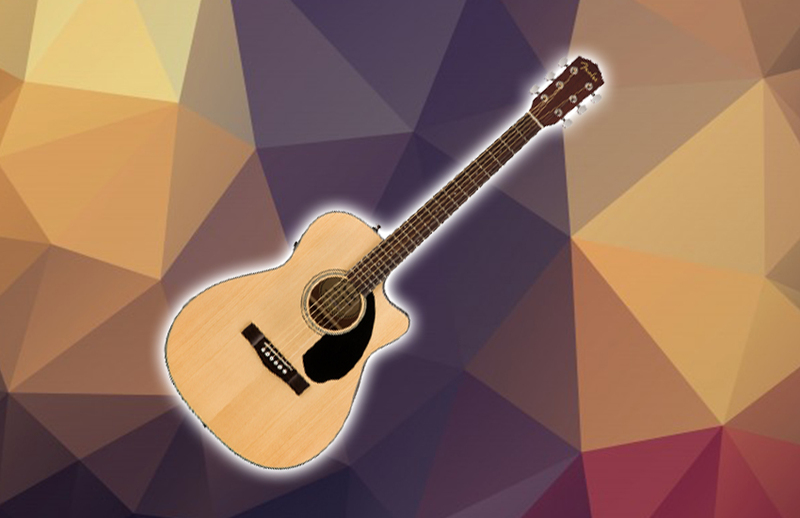 The CC-60SCE is also a member of our list of the best left-handed acoustic guitars. The Fender CC-60SCE is a redesigned guitar from the Classic Design series, which boasts outstanding features for an acoustic guitar of its class. One of the best things that you will appreciate about this guitar is its sound. But how does it fare in other criteria? Find out. The Fender CC-60SCE is a concert size acoustic guitar with a cutaway for easy access to the upper register. Its top is made from solid spruce, while the back and sides are made from mahogany. The body is covered in a gloss finish with clean multiple body binding on the edges. Inside the body is quartersawn scalloped bracing. The neck is also made from mahogany with a gloss urethane finish. It has a dual-action truss rod, a rosewood fretboard with a standard set of 20 frets, creme plastic nut, and Pearloid dot inlays. It is worth mentioning that the fretboard has rolled edges which makes holding the neck and moving frets smoother and easier. The build quality of this guitar seems pretty robust judging by the tonewood being used in this price range. You really can’t complain over a solid spruce top in an inexpensive entry-level acoustic guitar. If you are not quite impressed with the tonewood, you should be impressed somehow with the electronic components of the guitar. It has all the basic controls (volume, bass, and treble) with a Fishman low-profile CD preamp thrown into the mix. In terms of the hardware, there is nothing out of the ordinary. The Fender CC-60SCE has all the basic components, such as a rosewood bridge with white bridge pins, a set of chrome die-cast tuners, and a black pickguard. The solid spruce top does not only make the Fender CC-60SCE look gorgeous and sturdy, but it also helps deliver an impressive sound with strength, brightness, and dynamic range that every player would love. The mahogany back and sides help deliver more basses in the sound with no buzzes. On top of that, it responds well to any acoustic playing style, whether you are a hard strummer, a fast flat-picker, or a master finger-picker. Naturally, concerts are best for fingerpicking due to their body shape. But regardless of your playing style, it gets the job done. The Fender CC-60SCE is available in black and gold variants. The Verdict: Should You Buy Fender CC-60SCE? All in all, the Fender CC-60CE is a great concert acoustic guitar in this price range. The solid spruce top is something that you would really appreciate in the long run. Not to mention the robust electronics that come with it. And of course, the sound is quite impressive with its classic full-bodied tone you want for your practice and even performances.